Every Christian that has given their heart to God begins a journey with Him. The excitement of our first steps with the Lord propels us forward. After a time, we hit some rough roads and seem to get stuck in the ruts of life. We begin to question our faith, our belief in Christianity in general. We try, we work, we hope—we do everything we can think of, and still we are stuck—and then, we pray, as if this is our last resort. God never promised that we would not face problems, just that He would always be with us. Challenge: If you really believe that what you believe is really true, you could change the world. 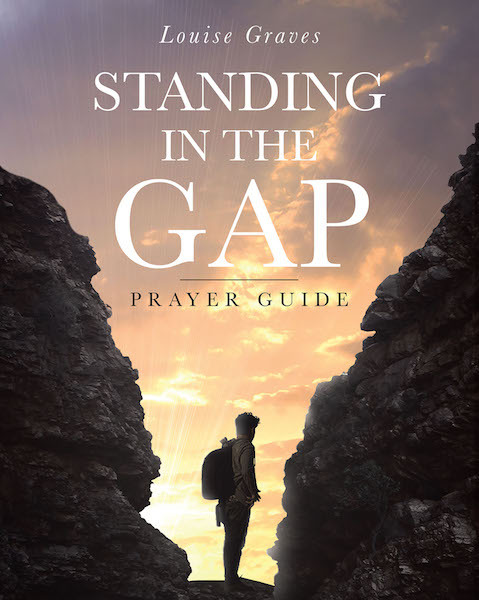 This book was written to help believers to pray first—before all else. We have been given the authority and the privilege to speak to our God through the gate that Jesus opened for us. The Word tells to come to the throne of grace confidently where we will receive mercy and grace in our time of need. So how do we do this? God hears our cry for help—the Bible says to ask. Then we are instructed to seek. Seeking is finding God's will, His truth in His Word—we seek His Word in the Bible. This Word is a promise from God, and we stand on that truth. Finally, He instructs us to knock. Knocking is simply speaking God's promises back to Him. When we have done this, we stand—we trust and wait for God's perfect timing and His perfect plan. This book will help you find some of those precious promises in the Bible. Let's see what God can do. Our part is to believe He can!